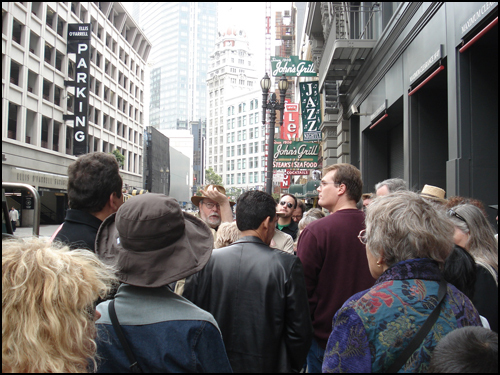 Like it says on the Tour Page, you’ve got a Hammett tour every Sunday this month. Just show up, clutching the equivalent of a tenspot. Put some air in your gumshoes. Walk the walk. After writing up the tour for The Onion earlier this year, Sean McCourt just popped out another article for the San Francisco Examiner — yeoman Getting Out the Word stuff, folks. 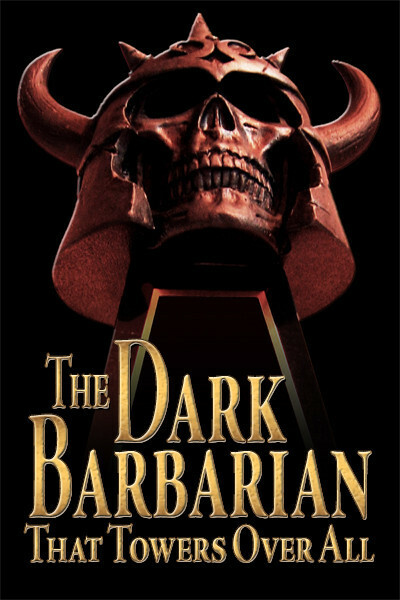 Lou Boxer has linked to Sean’s new article for the Noir Con blog, which he has up and cooking in advance of Noir Con 2 next year. Lots of great articles to prowl through on that blog, especially about the noir poet of Philly, David Goodis. 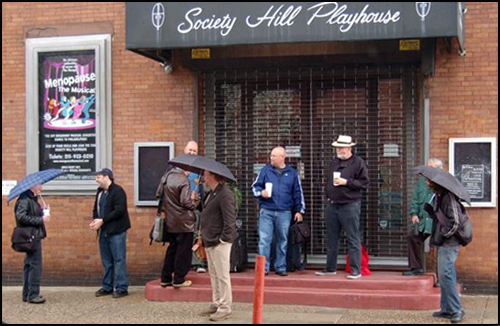 Don attended the first Noir Con, of course — in the photo above you can see him waiting for the gates to open at the Society Hill Playhouse in Philadelphia, the official Bat Cave for Noir Con. 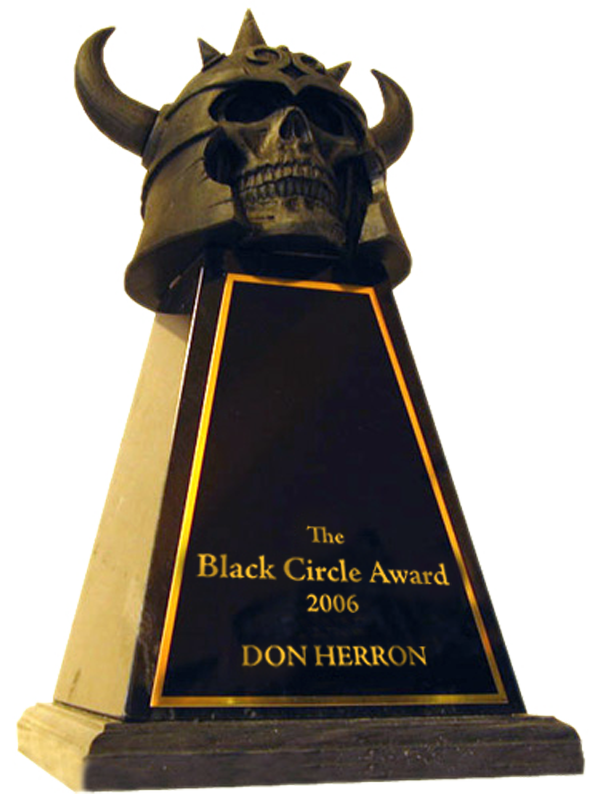 While it is a long way off, Don figures he’ll probably go back for another round in 2010. Joe Donahoe has knocked out the third issue of his underground zine Specious Species, which includes alongside articles on Spain Rodriguez and Pam the Funkstress and The Thrillpeddlers a long interview with Don — a longgggg interview, not your typical short and sweet media deal. Anyone interested can email Joe to order or find out where copies are sold. Five bucks. A lot of reading for the money. It looks like a sure thing that Bill Arney will be leaving Sam Spade’s apartment at the end of the month, but another guy has stepped in to become the Keeper of the Shrine and preserve the original 1920s fixtures Hammett would have known when he lived in the room and was writing The Maltese Falcon. More intel to come. Meanwhile, if you want another sample of the glory days of Bill’s tenure, hop over to the NPR archives and catch the program featuring Bill and Don and others done in connection with putting the historic plaque on 891 Post in time for the seventy-fifth anniversary of the publication of Hammett’s most famous novel. 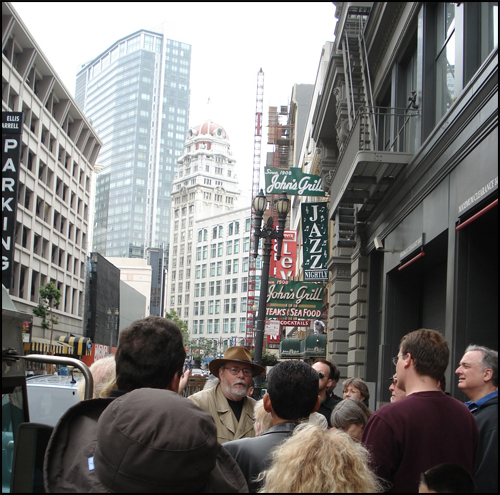 Oh, yeah — if you go back to the August 2009 News you’ll see a shot of Bill at the plaque ceremony — from right to left standing behind him are Jo Hammett, Hammett’s younger daughter, then Richard Layman, one of the Hammett biographers, then Jo’s son Evan Marshall, a.k.a. Hammett’s grandson. This entry was posted in Frisco, News, Tour and tagged 891 Post, Bill Arney, David Goodis, Falcon from Knopf, Jo Hammett, Noir Con, Radio, Specious Species. Bookmark the permalink.